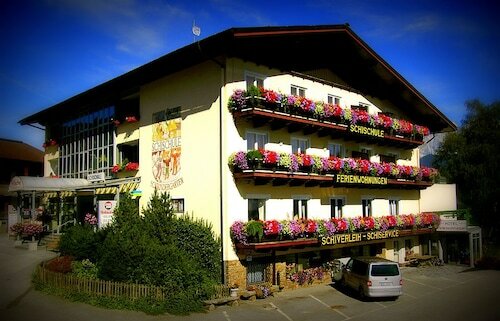 Situated in Schladming, this hotel is steps from Planai and Hochwurzen Ski Area and Schladming Dachstein Ski Resort. Schladming Main Square and Planai Hochwurzen Cable Car are also within 1 mi (2 km). Schladming Station is 21 minutes by foot. 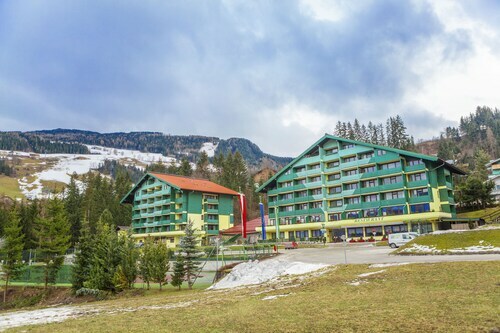 Located near the slopes, this Schladming hotel is in the mountains, within 1 mi (2 km) of Planai and Hochwurzen Ski Area and Schladming Dachstein Ski Resort, and close to winter sports such as cross-country skiing and skiing lessons. Schladming Main Square and Planai Hochwurzen Cable Car are also within 3 mi (5 km). 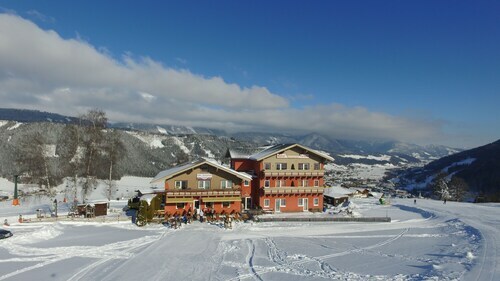 Located in the mountains, this Schladming hotel offers ski-in/ski-out access within 3 mi (5 km) of Schladming Dachstein Ski Resort, Planai and Hochwurzen Ski Area, and Planai Hochwurzen Cable Car. Schladming Main Square is 1.7 mi (2.7 km) away. 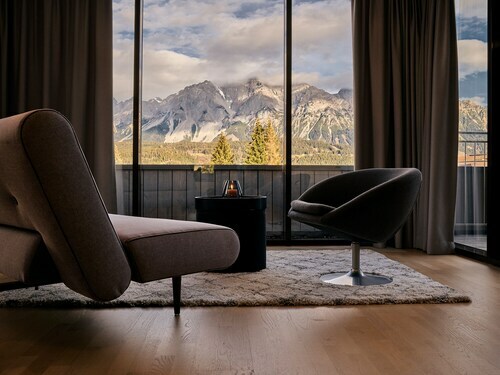 Located in the mountains, this Schladming hotel offers ski-in/ski-out access within 3 mi (5 km) of Planai and Hochwurzen Ski Area and Riesachfaelle Waterfalls Trail and close to winter sports such as cross-country skiing and snowshoeing. Reiteralm Ski Resort and Rittisberg are also within 9 mi (15 km). Are you looking for a break from the hustle and bustle of your day-to-day life? Do you want to escape reality and forget about your never ending to-do list? 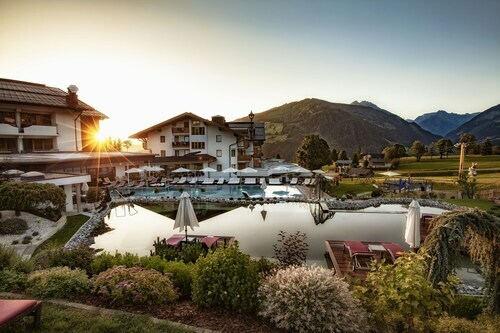 Then why not treat yourself to a relaxing stay at one of the spa hotels in Rohrmoos-Untertal? Whether it is for a weekend getaway or a staycation, book your visit to one of the Rohrmoos-Untertal luxury spa hotels. With all of the amazing things to do around Rohrmoos-Untertal, you will likely be worn out from sightseeing. 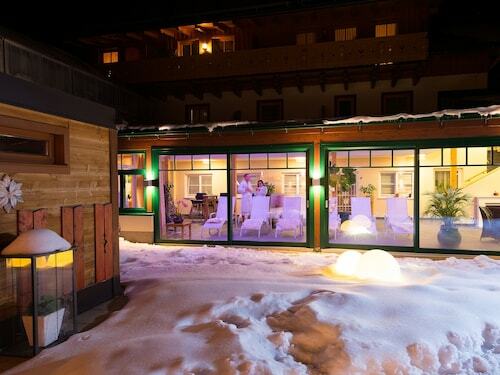 The Rohrmoos-Untertal spa hotels provide top of the line facilities with hot-tubs, saunas and private treatment rooms. Treat yourself to an indulgent hot stone massage or facial to rejuvenate from a busy day. If that's not enough for you, indulge in a full day-at-the-spa package. And maybe you are just looking to reach maximum relaxation before a fancy night out on the town. Take advantage of the salon features offered at most Rohrmoos-Untertal spa hotels and get a mani-pedi before your evening begins. Travelocity wants to help you relax and rejuvenate during your next stay in Rohrmoos-Untertal, but we know that spa treatments can put some strain on your wallet. Bundle your hotel and flight together and save enough to pay for your facial!